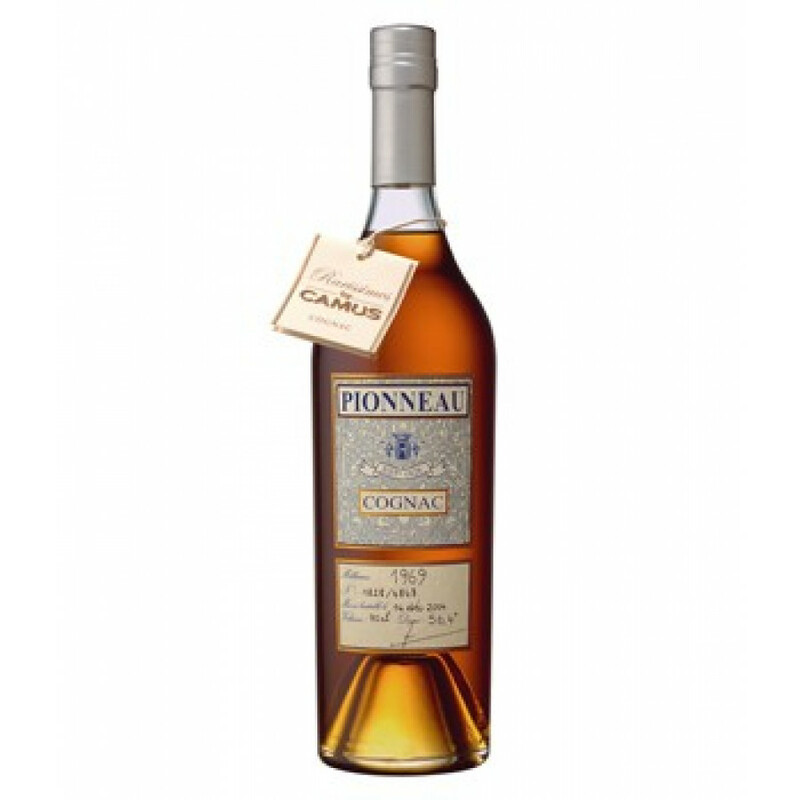 Pionneau Camus cognac delivers an intense nose with solid spicey aromas, dried fruits and oak wood. In the mouth: A fine note of dark fruits, earthy tones, strong rancio and pleasant finish. It's not a blend, it's a pure vintage cognac: Pionneau of Camus is a vintage cognac, from 1969. It's at 56,4% ABV. The vintage cognac was created of a harvest in the Saint Maigrin region, by a bouilleur de cru. The edition of this 35 year old cognac counts only 4848 numbered and signed decanters.